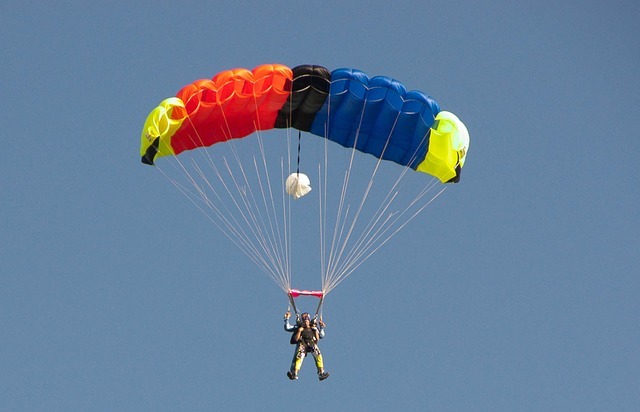 Wondering if you bought the right kind of parachute, as you leap from a plane at 12,000 feet on your first solo skydive, is what you might call ‘late in the day’. Similarly, for any self-respecting chef, the best moment to find out whether you selected good quality ingredients is not as you lower a plate of food in front of one of your expectant restaurant guests. It pays to do proper checks ahead of time. There are parallels here with technology, specifically with the Internet of Things (IoT). When 100,000 customers switch on your new smart light bulb for the first time, you need to know there aren’t going to be any nasty surprises and it won’t be an experience – to continue the culinary analogy – that leaves a bad taste in your customers’ mouths. Being confident comes down to choosing wisely. If you’re a manufacturer of consumer electronics or home appliances, the IoT has probably been looming on your horizon for some time. Most likely the realisation has dawned on you, and many of your competitors, that it’s a case of when, rather than if, you need to make your products Internet-enabled and smart. And, making products smart and Internet-connected is what IoT platforms are for. So where do you start? First there’s the ‘Build versus Buy’ dilemma. Do you take the DIY approach and develop an IoT solution from scratch? Any platform you build will need to manage thousands or millions of your product’s digital identities and the wealth of data generated by them. It’ll need to handle their web-based control as well as the connections with other systems, platforms, products and apps. Alternatively, you might conclude that your core business is in making great consumer products rather than building and running an IoT platform. And if so, this leads to the question: how do you choose the right IoT platform for your business? The IoT is still maturing, after all. Before technology becomes mainstream, it is the early adopters or early majority (to quote Everett M. Rogers’ famous Bell Curve) who shape the market, along with forward-thinking technology providers who understand current and future needs. Make the right platform choice now and you can leapfrog over your competitors. Take the wrong technology direction and you set off down a one-way road from which it is costly or time-consuming to turn back. The buying decision is made more complicated since it can take manufacturers several development cycles to fully understand their smart product requirements and use cases. What features will really wow your customers? How will your operational teams need to work with your connected products? What kind of data do your engineering teams need to collect from the field to improve their offering? While you may not have all the answers, you need to be confident that your platform provider does. That’s why we’ve collated our experience and the insights we’ve gained from working closely with the manufacturers who are leading the charge in building smart products. The result is our latest white paper, 9 Things to Check Before Choosing an IoT Platform. 10 would have sounded nicer of course, but we didn’t want to stretch it out unnecessarily: these are the real must-haves, the pitfalls to avoid and the questions to pose IoT solution providers. What are the scale and performance factors to consider when thinking about connecting hundreds of thousands or millions of products? What kind of platform architecture do you need now, when your products will change in the future? With new protocols and embedded technology emerging all the time, how do you make your products future-proofed? What does a good data security and privacy model look like in a complex IoT ecosystem? We hope 9 Things to Check Before Choosing an IoT Platform proves a valuable resource for you in your research. If you’ve got any comments on the white paper, or want to talk about an upcoming project, please do get in touch.